Named one of 2016’s Best New Restaurants in South Florida by Thrillist and one of the Top Ten Steakhouses in Broward County by New-Times Broward-Palm Beach, JWB Prime Steak and Seafood invites guests to wine, dine and enjoy a night in coastal-luxe style. 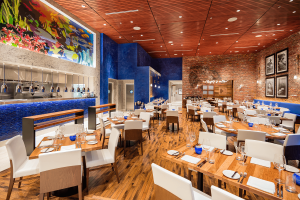 The perfect spot for both resort guests and locals seeking a laid-back elegant dining experience, JWB will offer a contemporary menu of fresh seafood including spear-caught fish, a raw bar and prime steaks paired with world-class wines and hand-crafted cocktails. Expect to be wowed by delectable seasonal favorites at JWB, like the Florida stone crab, an assortment of sea-to-table delicacies and specialty sushi rolls. For Reservations please call 954-874-4462. Learn more here. 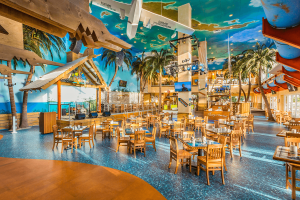 Raise a glass and take a bite out of paradise at Margaritaville! With coastal-inspired, made-to-order dishes and hand-crafted cocktails, there is no better spot to sit, sip, savor, and most of all relax and have a great time. Live entertainment is a key ingredient to this two-story paradisiacal concoction, offering something for everyone to enjoy while overlooking the resort’s pool and beachscape. Learn more here. 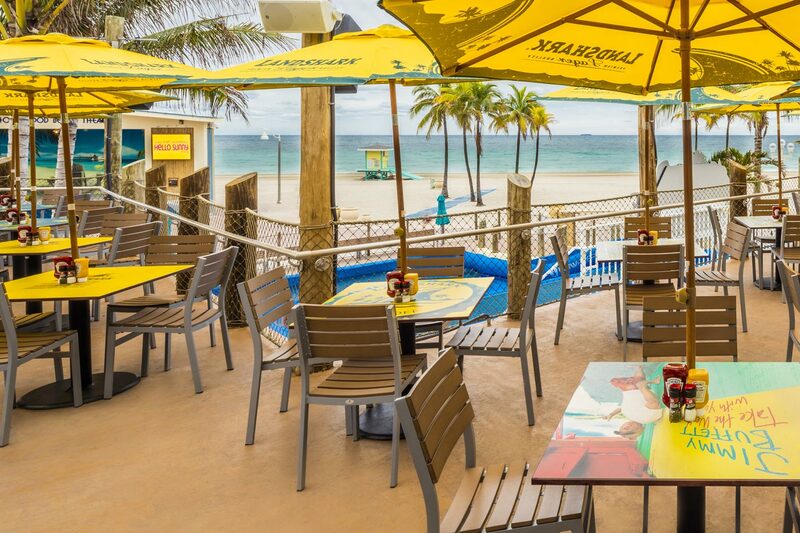 LandShark Bar & Grill offers the perfect mix of quality food, free-flowing drinks and good ol’ fashioned fun. Inspired by the traditional beach bars of the Atlantic Coast, guests can relax al fresco on the oceanfront deck, while enjoying panoramic views of the Atlantic Ocean and watching adrenaline seekers go head-to-head on the resort’s FlowRider® Double. Click here for the entertainment calendar. Learn more here. It’s a well-known fact that time is irrelevant when you’re in a Margaritaville state of mind; after all it’s always 5 o’Clock here. 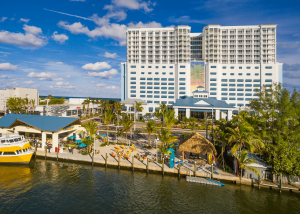 This rustic dockside bar located on the legendary Intracoastal Waterway, serves up bar bites, drinks and live entertainment, with breathtaking sunsets as an added bonus. There’s nothing better than soaking in the last rays of the day’s sunshine while sitting beside a cozy fire pit. 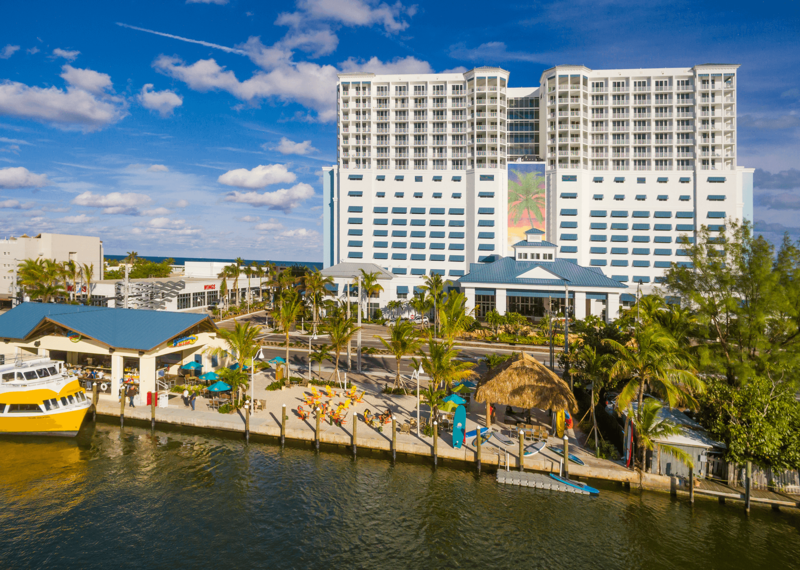 The 5 o’Clock Somewhere Bar & Grill also features a Water Taxi stop and serves as the launch pad for paddle boarding and kayak excursions. Learn more here.